Spiraling above a fishing boat or squabbling at a dock or parking lot, Herring Gulls are the quintessential gray-and-white, pink-legged “seagulls.” They’re the most familiar gulls of the North Atlantic and can be found across much of coastal North America in winter. A variety of plumages worn in their first four years can make identification tricky—so begin by learning to recognize their beefy size and shape. Herring Gulls are large gulls with hefty bills and robust bodies. 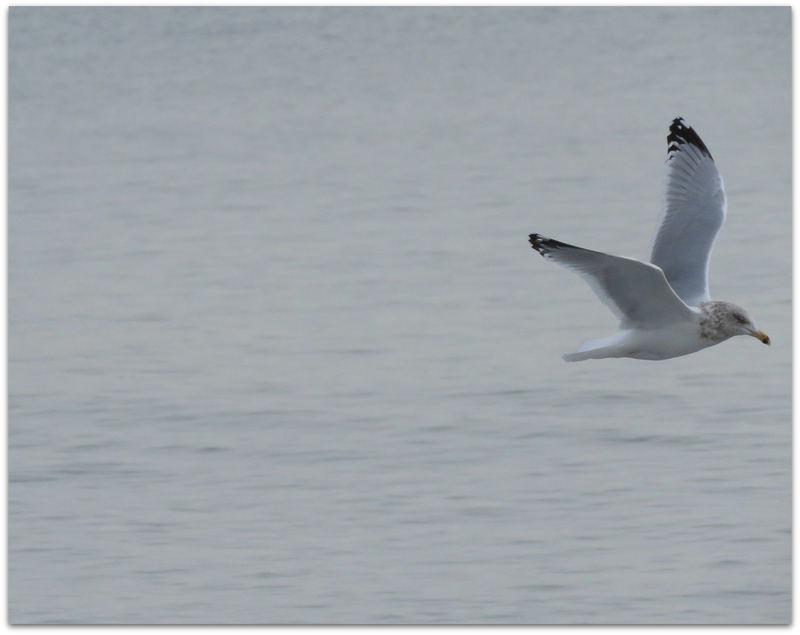 In flight, they look barrel-chested and broad-winged compared to smaller species such as Ring-billed Gulls. Adults have light-gray backs, black wingtips, and white heads and underparts. In winter, dusky streaks mark their heads. Herring Gulls take four years to reach adult plumage. Juveniles are mottled brown; second-year birds are brown but show gray on the back. Third-years have more gray on the back and more white on the head and underparts. I made this for my Facebook friends, near and far. 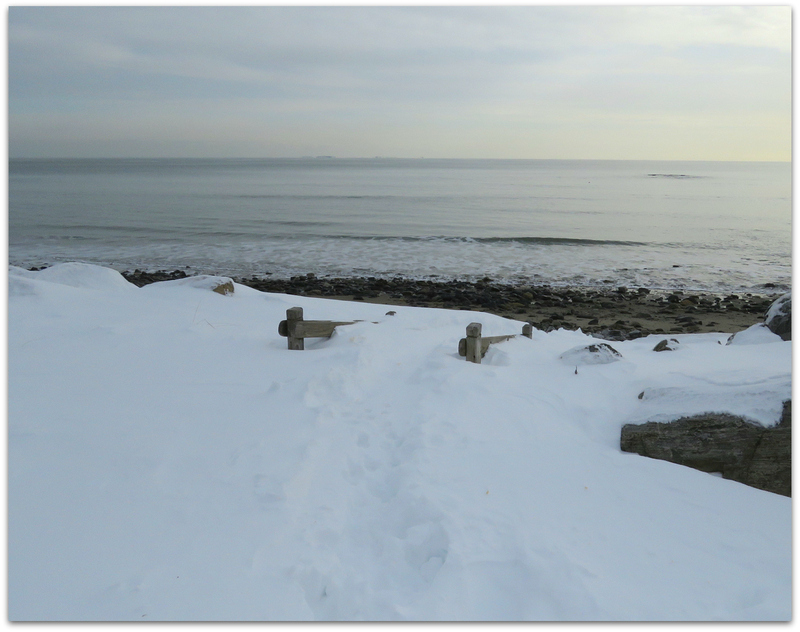 I took a drive by the ocean this morning, before the next blizzard, to get some light and horizon into my eyes and brain. Snapped a few photos too. 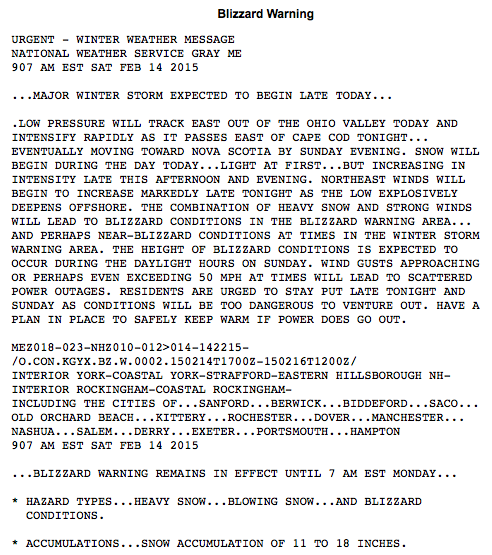 Wish I could have captured the small falcon that flew overhead as I drove north on route 1A, Hampton Beach. It was creamy white with brown speckles underneath and characteristic falcon-shaped head and wings. 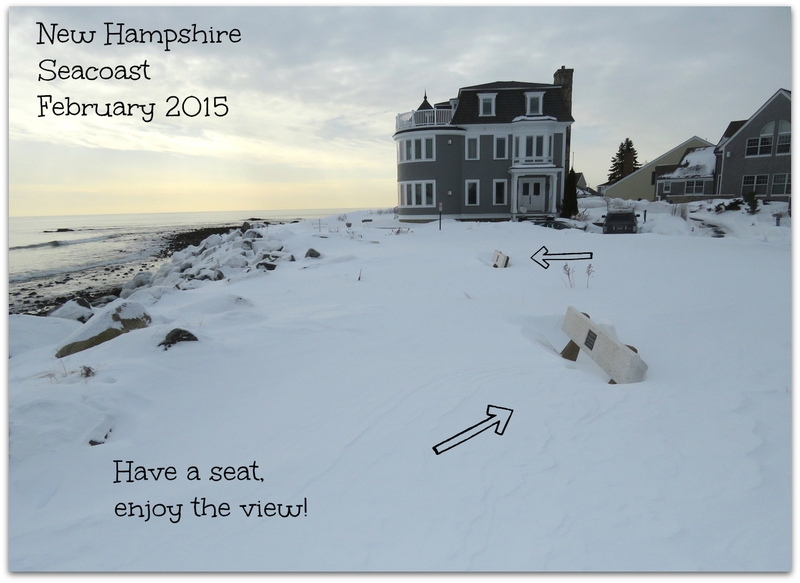 See the steps down to the beach? Not really? I know! 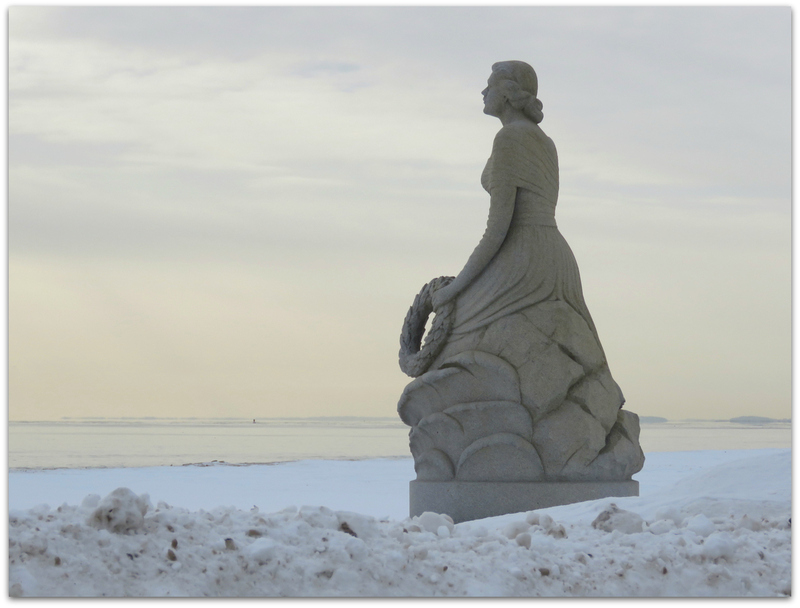 Marine Memorial Statue, aka The Lady, at Hampton Beach. 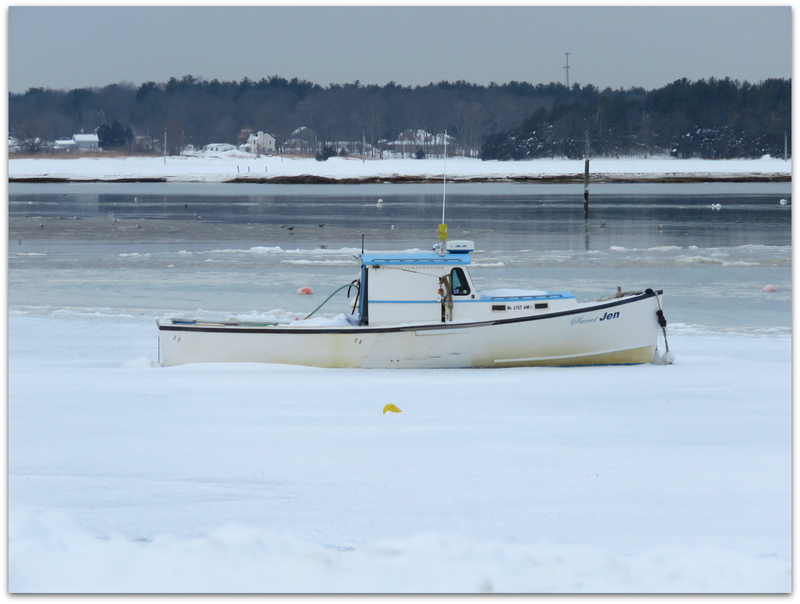 Boats were frozen in place at Seabrook Harbor. It was -3 when I woke up this morning. 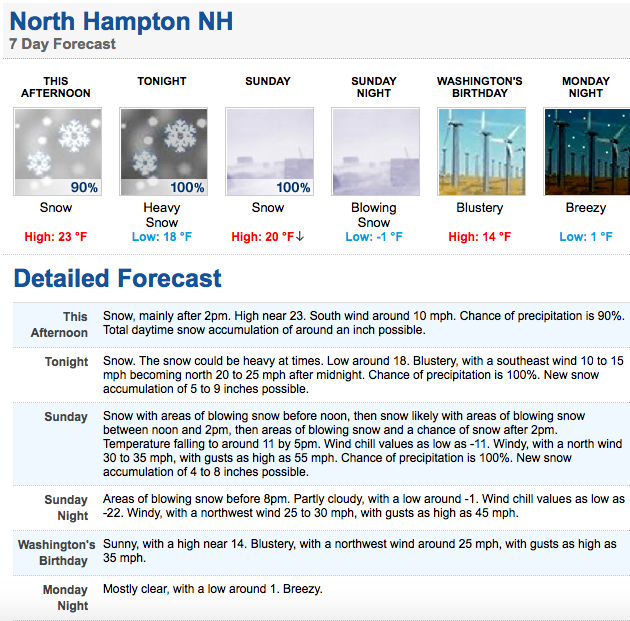 Temp is up to 15 now, at lunchtime. I watched birds this morning for GBBC. More tomorrow. 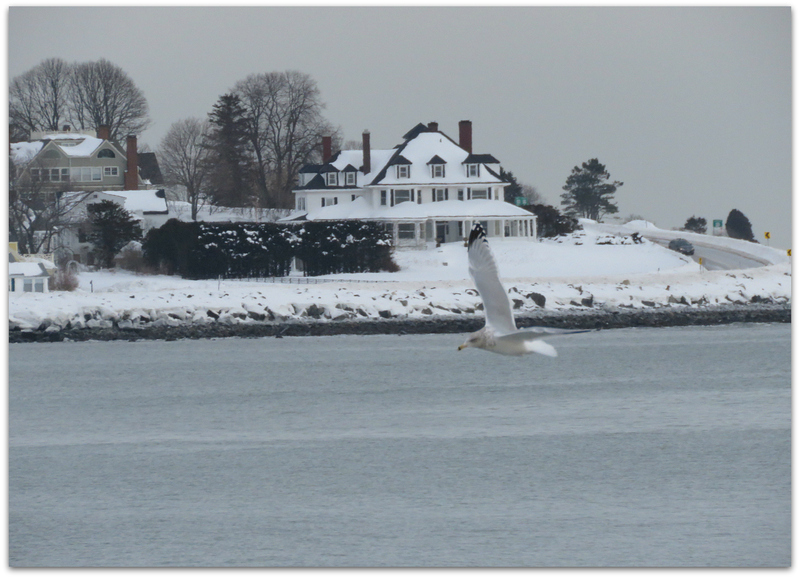 Herring gull with Little Boar’s Head promontory, North Hampton, N.H. beyond. When the storm starts, I plan to do lots of loafing myself. I am read two bird books: What the Robin Knows by Jon Young, and The Goshawk by T.H. White. 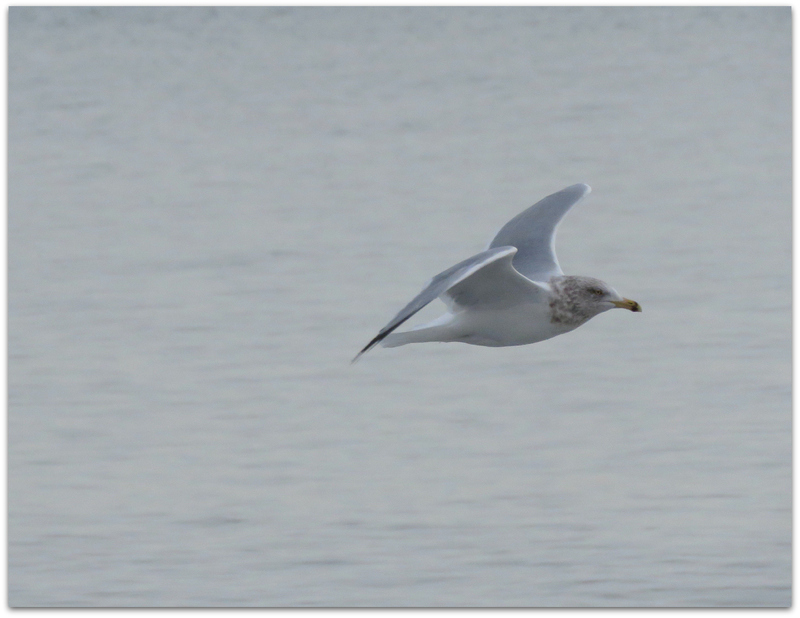 This entry was posted in Uncategorized and tagged Herring Gull, winter on February 14, 2015 by Amy.